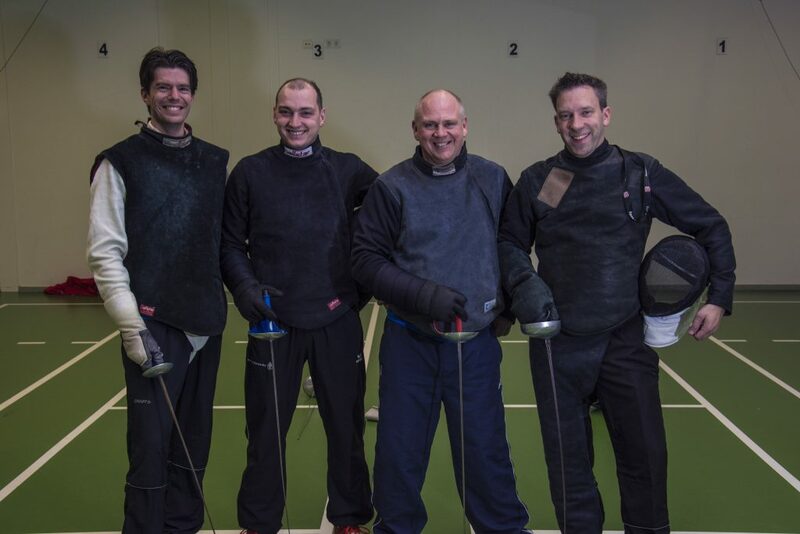 NSSV Don Quichote is being supported by four fencing masters. These are all enthusiastic teachers with a passion for the game of fencing that they would like to share with new fencers. From left to right: Jan, Nico, Danny, and Alexander. Photo by Nils van Rooijen. 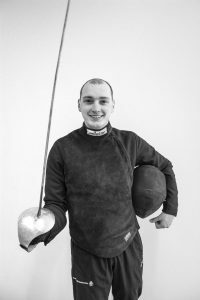 At the age of 12 I came into contact with fencing at fencing club Zaal Verwijlen. There I learned the game from trainers Gloria Garcia and Roel Verwijlen. Together with the other fencers of that club I visited numerous national and international competitions. As a trainer I participated in FIE courses and I am a Fencing Master, level 4. 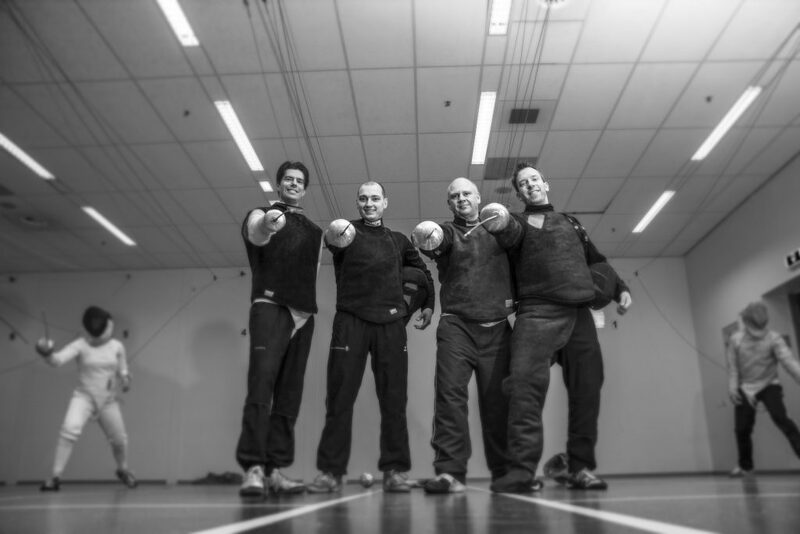 In addition to being a trainer at NSSV Don Quichote, I am also part of the KNAS Epee Trainers Team (DBT). During my study in Nijmegen, I attended fewer competitions, but still in 2005 I was asked by NSSV Don Quichote to take part in the GNSK in Nijmegen. This was so nice that I remained involved in the club and when I, in 2007, got the chance from the club and the Radboud Sports Center to become a trainer, I did not have to think twice. It is nice to work with my colleagues and fun to teach everyone who is interested in the sport. The goal remains to get as many people as possible acquainted with the sport and to offer them an environment where everyone can develop at their own level on the epee, foil, or saber. I started fencing in the second year of university when a friend of mine dragged me along to a beginner’s course. He liked the idea of sword fighting. Turns out, fencing is an actual sport. He stopped, but I started to fence more and more because I liked the mental and physical intensity and thrill of the duel. I competed in épée at the national level and the odd tournament in Belgium. While training at the club, I liked to show other people the ropes and wanted to help introduce more people to the sport. So, I decided to become an assistant coach. Now, over a decade later, I completed two courses offered by the KNAS, and try to fence and coach on all three weapons. Given the expertise that Alex, Danny, and Nico have, that usually means that I am the foil coach. You can find me coaching on Monday nights, and I try to coach and fence on Wednesday. In my daily life you might run into me at the Radboudumc, as I am a PostDoc researcher and lecturer there. I am here in Nijmegen via Brisbane, Auckland, Singapore, London, and Oxford (and a few other place in between) – fencing all the way around the world. 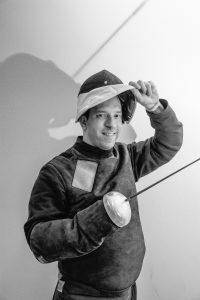 Like a lot of the club, I started fencing when I was 24 from a beginners course just like we run here at Don Quichote. I was lucky enough to compete internationally for Australia for a while and now I am focused on helping people engage with the sport and realise that starting a little later in life is not a barrier to competing at the highest level. As an Australian, I am normally in charge of the BBQ when it comes to having a party. 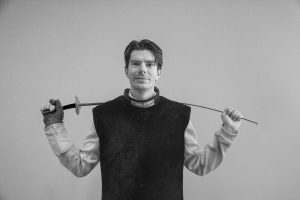 I started fencing when I was ten years old with s.v. Scaramouche in Arnhem. There, I quickly found out that the sabre was my weapon of choice. After two years I quit fencing for a few years, only to return in 2001. 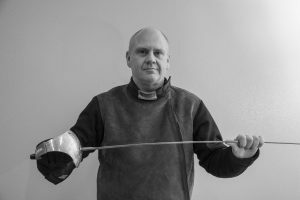 When I returned, I devoted my time and energy to the sabre again and in 2002 I was able to claim the Dutch national title in the Juniors category. I have trained at several different clubs in my fencing career and was able to lay claim to several Dutch national titles in the team event. In 2009 I won the individual Dutch national championships. I was very lucky to be able to compete in several world cup competitions and other international tournaments. I joined NSSV Don Quichote in 2013 and helped the club out as often as I could as a volunteer to organize competitions and other activities. I have learned a lot by visiting international competitions and now I try to teach these lessons to new fencers. For this reason I started the fencing master course, level 3, in September 2017 and I am doing my internship under the guidance of Jan and Alex. I studied Aerospace Engineering at Delft University of Technology and after I finished my M.Sc. degree I started a Ph.D. track at Eindhoven University of Technology. I was able to complete my Ph.D. in 2015 and currently I work for a big high tech company in the Eindhoven area.